Note: Riders must be over 42in (105cm) tall and weigh no more than 264lbs (120kg). Please ensure you have your iVenture Card present and ready to show to staff members on the day. Never tried riding a Segway Personal Transporter? Hop on for an introductory experience on the Segway Fun Ride, a circuit ride full of twists and turns. An exciting experience for everyone! 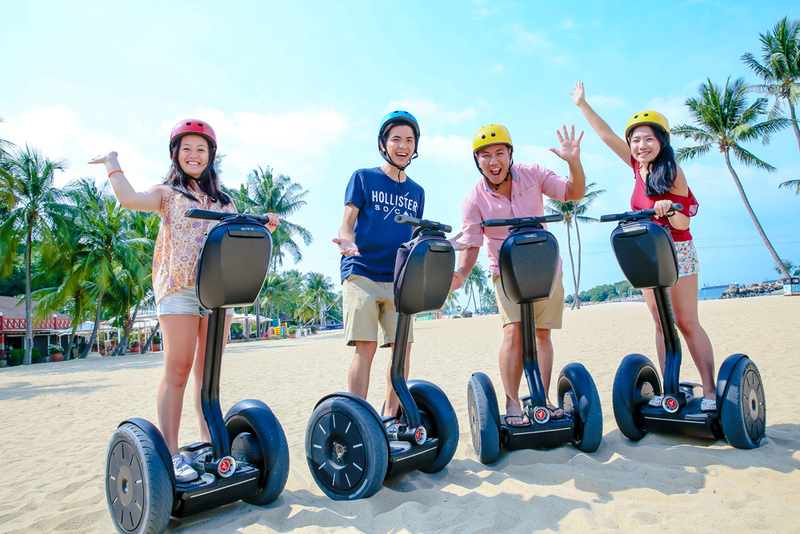 Children below the age of 10 will be accompanied by a walking guide.Explore the beaches of Sentosa while gliding effortlessly on the Segway Personal Transporter (PT).The ever popular Segway Fun Ride is an introductory experience that is suitable for everyone. Friendly trainers will assist you in mastering how to manoeuvre the Segway PT within minutes. 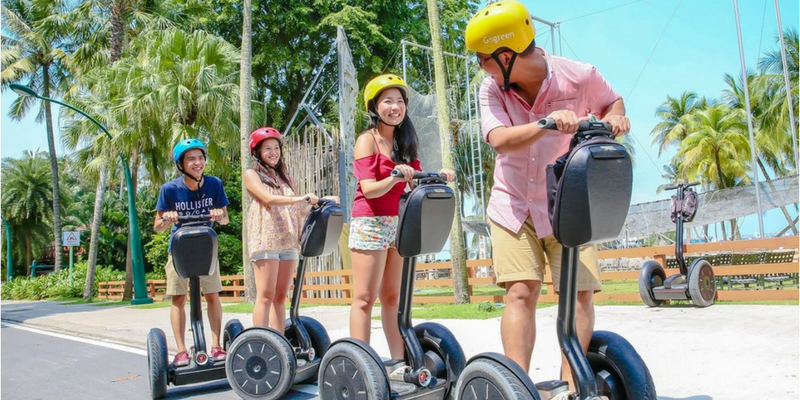 Get adventurous while exploring Sentosa Island on an easy-to-use Segway! Remain carefree in the company of an expert guide leading you past the picturesque views of Sentosa Island, filled with attractions. Suitable and fun for all age groups, this Segway tour is an exceptional way to discover the beauty of this island in the company of friends and family. After getting comfortable with the twists and turns of the circuit ride, glide through the cool breeze and witness the radiant energy on the island. Spend time mastering this high tech mobility device and complete all 3 rounds to really get a feel for the serene landscape of Sentosa.